Mortgage applications were down for the second week in a row last week as rates continued to rise, according to data released by the Mortgage Bankers Association. The Market Composite Index, which measures loan application volume, was down 8.5% on a seasonally adjusted basis from the week prior. On an unadjusted basis, the index dropped 7%, according to the MBA. The Refinance Index was down 11% from the week prior, and the Purchase Index dropped 4% on a seasonally adjusted basis, hitting its lowest level since 1995. The unadjusted Purchase Index was up 0.1% from the week prior and down 15% from the same week a year ago. “Purchase applications were little changed on an unadjusted basis last week, but this is the time of a year we would expect a significant pickup in purchase activity, and we are not yet seeing it,” said MBA Chief Economist Mike Fratantoni. The refinance share of mortgage activity was down to 58% of all applications, the lowest level since September. 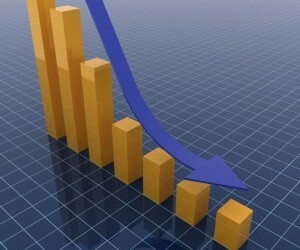 The adjustable-rate mortgage share held steady at 8% of all applications, the MBA reported. The average interest rate for 30-year fixed-rate mortgages with conforming loan balances rose to 4.53% from the previous week’s 4.50%. The average rate for 30-year FRMs with jumbo loan balances was also up, rising to 4.47% from the previous week’s 4.45%. The average rate for Federal Housing Administration-backed 30-year FRMs rose to 4.17%, up from the previous week’s rate of 4.16%. Average rates for 15-year FRMs rose to 3.56% from 3.55% the week prior. The average rate for the 5/1 ARM was down, dropping to 3.17% from 3.20%.